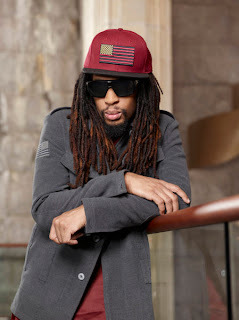 Nearly a decade ago, Lil Jon rose from seemingly nowhere to take over the rap game. T.I. had labeled himself the King of the South and teamed up with Lil Jon. Jon was also from Atlanta and he also called himself a king. For those who remember, Lil Jon was the King of Crunk. Lil Jon had grown so popular he had his own line of drink, which was called 'Crunk Juice.' The Atlanta producer had risen to become a force in the game. He signed E-40 and helped him rise to mainstream fame for the first time in his fifteen year career. But, his 2006 run would prove to be his last. It was not until Donald Trump called on Lil Jon did most fans realize the game had been missing something. Most of the post-2006 songs on the radio were lacking Lil Jon's trademark sounds of "WHAT!" and "OK!" Lil Jon turned heads on Trump's "Celebrity Apprentice" series because of his sharp business acumen. Many failed to realize how skilled of a businessman Lil Jon actually is. While wearing the goofy clothes and making outrageous sounds, Lil Jon was making an incredible amount of money. Most of his profits went back into his BME label, which had several artists signed under him. Lil Jon used the same business tactics for "Celebrity Apprentice" and did well in the contest. His team recently won and Lil Jon pocketed a total of $40,000 for being a part of the team. Already rich, Lil Jon took these earnings and donated them to a children's home in Decatur, Georgia.